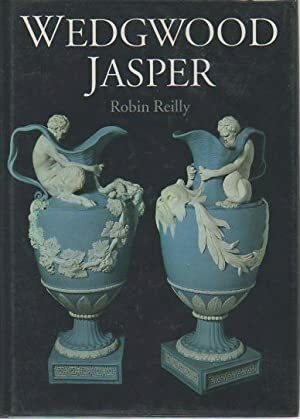 Jasper was not only the outstanding invention of Josiah Wedgwood's life as a potter; it was also the most significant innovation in ceramics since the discovery of porcelain by the Chinese some nine hundred years earlier. It has been by far the most avidly collected of all Wedgwood wares from the eighteenth century until the present day and is still the style by which the firm is most readily recognized throughout the world. It continues to be produced in the 1990s, the classical foundations of its original style having helped to give it a longer life than any other ornamental pottery or porcelain. This study is drawn from Robin Reilly's massive and highly acclaimed two-volume history of the Wedgwood firm and its production (1989). In a specially written Part I, he provides a brief but clear narrative chronology of the firm and its principal products. In Parts 2 and 3, he presents a uniquely comprehensive and fully documented account of every aspect of jasper's long history. Complete with over 600 illustrations, each with a detailed description, and invaluable appendices on Wedgwood trademarks, cameos, intaglios, medals, medallions, tablets, plaques, busts and figures, this is, in every sense, a standard work, which may be considered definitive. Jasperware, with its molded white classical figures on a solid, usually blue, background, is synonymous with Wedgwood china in the minds of many. Reilly, a former executive with the Wedgwood firm, has extracted two parts of this three-part study from his monumental and expensive two-volume history, Wedgwood (Stockton, 1989). Part 1 is a chronological history of the firm written for this work. Parts 2 and 3 jointly present a detailed account of the production of jasper from 1774 to 1968, when the Wedgwood family gave up control of the company. Eleven appendixes list the subjects, designers, and dates of various jasper pieces. Good black-and-white illustrations are found throughout the text along with a short section of color plates. Intended as a serious history rather than a guide for collectors, this book is recommended for most art collections.